HP for Alex! is infaninte and Alex! 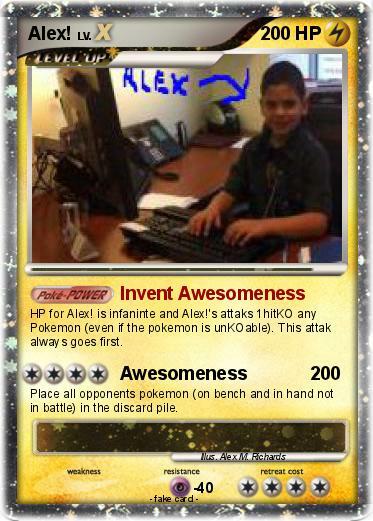 's attaks 1hitKO any Pokemon (even if the pokemon is unKOable). This attak always goes first. Place all opponents pokemon (on bench and in hand not in battle) in the discard pile.